Tigerline Travel operates a direct transfer service from Phuket Airport to Koh Phi Phi. 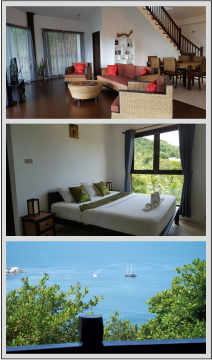 You can also travel independently from Phuket Airport to Koh Phi Phi by taking a taxi to the ferry pier and then buying a separate ferry ticket on arrival. Compared to taking a direct transfer, travelling by taxi to the ferry pier and buying a separate ferry is a lot more expensive. 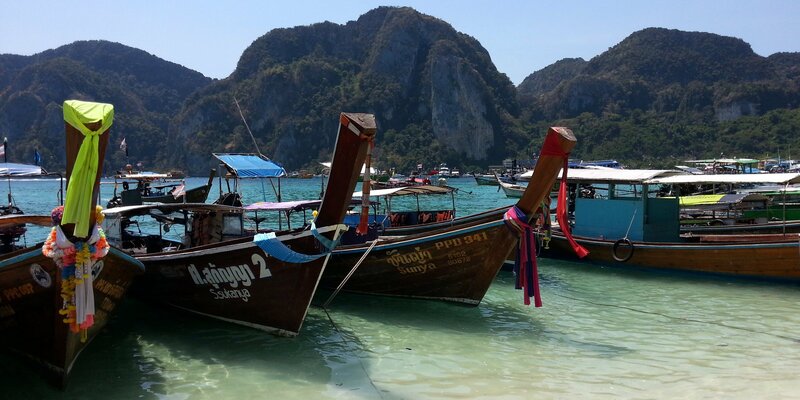 Currently Tigerline Travel are operating a single transfer per day from Phuket Airport to Koh Phi Phi. The service departs early in the morning so you will need to take a very early morning flight to Phuket to take advantage of the direct transfer service. The journey from Phuket Airport to Koh Phi Phi takes 5 hours 30 minutes. The ferry journey to Koh Phi Phi is in a fast ferry with an air-conditioned cabin and upstairs sun deck where smoking is permitted and provides a vantage point for passengers to enjoy the views. Use the Search Box below to book your joint bus and ferry tickets from Phuket Airport to Koh Phi Phi. Unfortunately, child fares are not available to book online on this route. Tigerline Ferry services from Phuket Airport to Koh Phi Phi depart from the roadside by both: 1. Exit 2 of the International Terminal (for travellers on flight originating outside Thailand); and 2. The Domestic Terminal Exit (for travellers on flights originating in Bangkok and other airports in Thailand). Tigerline Travel services from Phuket Airport arrive in Koh Phi Phi at Ton Sai Ferry Pier, which is the island’s main ferry pier and is close to the majority of the resorts and hotels on the island. However, if you are staying in the northern part of the island near Laemtong Beach then you may need to arrange a boat transfer from Ton Sai Ferry Pier to the Laemtong Beach Ferry Pier.